MIAMI — A SkyLease Cargo Boeing 747-412F ran off Halifax Airport’s Runway 14 at 05:05 this morning. The plane was performing flight GG4854 from Chicago-O’Hare, coming to a full stop and sustaining significant damage to its engines and lower fuselage. No injuries have been registered. 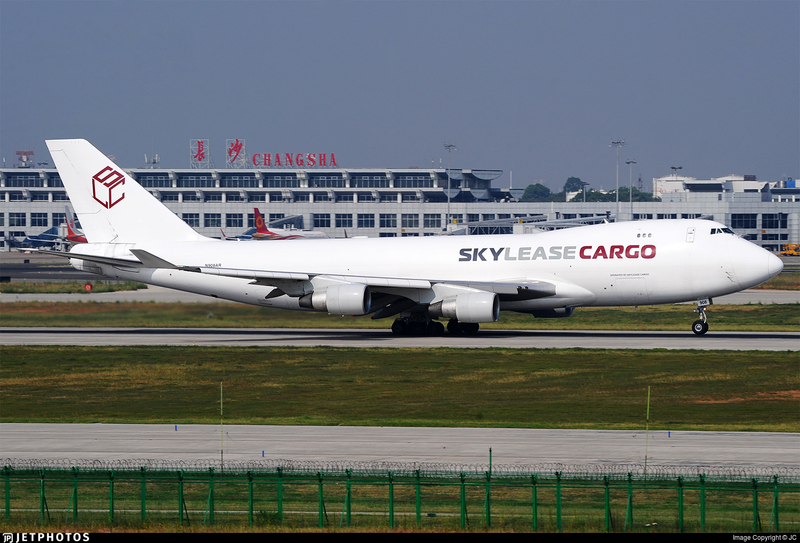 The plane, registered N908AR (MSN 28026 • LN 1105), was delivered 22 years ago to Singapore Airlines Cargo, then moving on to SkyLease Cargo and Atlas Air. The airport had been temporarily closed while a safe perimeter and guarantees that no imminent danger were set. “At 5:05 a.m. today, a Boeing 747-400 SkyLease cargo aircraft arriving from Chicago, Illinois, went off the end of Runway 32 upon its scheduled landing,” said the airport via a public statement. The airport’s website reported some delays and cancelations for incoming and departing flights. As registered by ATC recordings, the aircraft’s pilot said: “Tower, SkyCube 4854 is off the runway, requesting a full emergency assistance… full emergency support”. Our main Runway 05/23 has been re-opened. However, flight schedules continue to be significantly impacted. Check with your airline for flight updates. Officials at the airport activated all emergency operations early morning when the 747 went off the end of the runway. As per Flightradar24 data, the last recorded speed of the aircraft was 74 knots. The deputy chief for Halifax Fire confirmed that the Boeing 747-400F did not catch fire. The crew of five on board was safely removed and taken to a nearby hospital to be treated for minor injuries. United CEO Munoz Said No To His Bonus. Here’s Why.